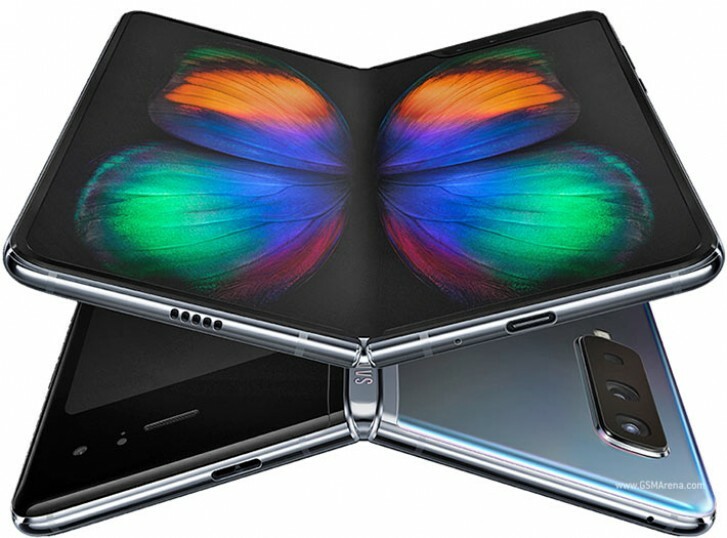 More than a month before its US launch, a hands-on video of the Samsung Galaxy Fold surfaced online showing the smartphone being used by someone other than a Samsung presenter. A 2-minute clip originating from Vietnam shows the device functioning in both its folded and unfolded form. One striking detail is the obvious crease in the middle of the larger 7.3" display and it remains to be seen if that will be present on the final phone or not. Weight distribution seems to be solid as the user managed to fold the phone with just one hand while it was lying flat on a table. From the software information sub-menu, it appears the Galaxy Fold is running One UI version 1.2 on top of Android 9.0 Pie. The Fold will feature the latest and greatest components that Samsung has to offer such as the Snapdragon 855 and 12GB RAM. Overall, the device seems responsive and the folding mechanism solidly clamps into place. As a reminder bleeding-edge tech is not cheap and the Fold will set you back $1,950/€2,000, which is still a bit lower than Huawei's Mate X and its $2,600/€2,300 starting price. Never had an Apple device, and never will. Just not for me. Mobile wise, nothing beats Android. Previously, it was Microsoft Windows Mobile 6.5 Professional (the best mobile OS ever developed). Looks really worst than I thought. The clearly visible line in the middle, the extreme thickness of the device, the ugly horrendous bezels. Suddenly the Nintendo DS looks better..